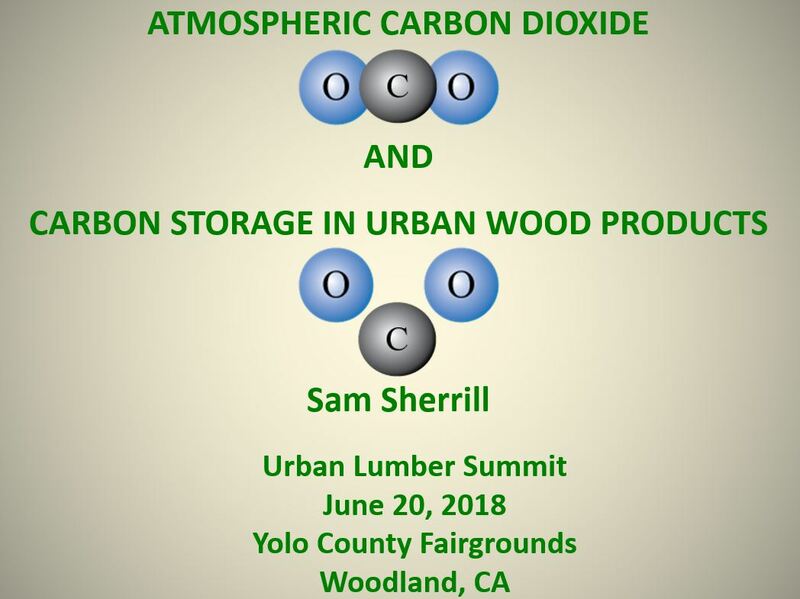 Sam Sherrill, a household name in urban wood utilization circles, recently presented the environmental benefits of making products with urban wood at a workshop organized by Urban Salvaged & Reclaimed Woods. Sherrill shares his “quick way to do these calculations for a range of hardwoods and softwoods… “Individual urban forest product businesses can calculate how much CO2 is not formed by each of their products and for all their products on an annual basis. This directly links urban tree utilization to the mitigation of climate change/global warming. Sherrill adds that he plans to approach the California Air Resources Board to consider including urban products as part of the state’s cap and trade. Click here to access Sherrill’s urban wood workshop presentation. Click here to view the urban wood carbon sequestration research project co-authored by Sherrill and Bratkovich. Sam welcomes questions and comments to this research project. Contact him at ssherrill50@gmail.com.